At the 2016 International Latino Book Awards ceremony, Captain Mama's Surprise/La Sorpresa de Capitán Mamá won 1st Place in the "Most Inspirational Children's Picture Book - Bilingual" category and is featured in this NBC News piece! USA Today also featured the second book in the bilingual series as we launched it. Captain Mama's Surprise/La Sorpresa de Capitán Mamá was included in The Latino Author Top Ten Children/Teen book list for 2016 as seen HERE. 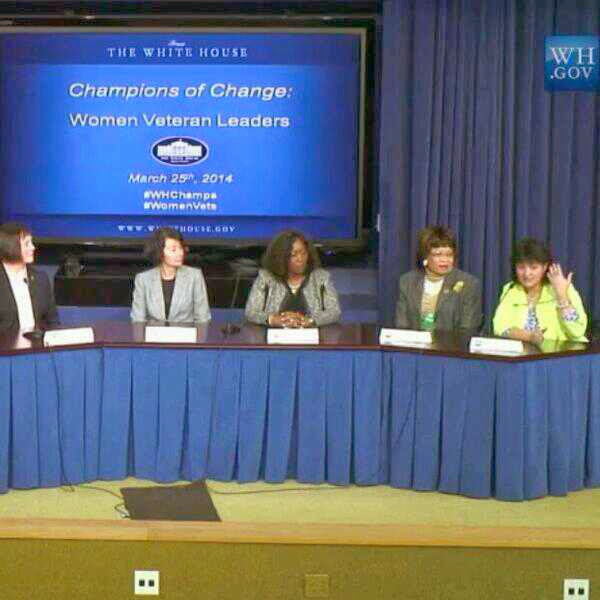 In March of 2014, author Graciela Tiscareno-Sato was honored by the White House for her leadership as a "Woman Veteran Leader Champion of Change" for her work as Founder and CEO of the award-winning, multicultural, educational publishing company Gracefully Global Group LLC and for her mission to raise educational expectations of Latino students and voices of veterans. Details are here. Her White House blog post on that subject is here. The day after the Champion of Change Ceremony at the White House, Graciela’s service and business leadership was honored in a moving tribute on the Floor of the House of Representatives by her Congressman. Here's the video of the Congressman's speech. The Congressman's tribute was entered permanently into the Congressional Record as seen here in TEXT version and as a PDF document. In November of 2014, Ms. Tiscareño-Sato was honored by the Business and Professional Women's Foundation with an National Business Women's Week award. The ceremony was part of the Women Veterans Career Development Forum that took place at the Women in Military Service for America Memorial and included a keynote speech by First Lady Michelle Obama. See the photo album here. Watch the "Personal Branding for Military Veterans" panel she participated on here. First Place Prize, Writer’s Digest Magazine Self-Published e-Book Awards, Children's Picture Books category. Official WD press release will be available spring 2015. Bronze Medal at the Military Writers Society of America Book Awards, “Children Ages 12 and Under” category as seen here. Silver Medal at the 2014 Moonbeam Children's Book Awards (Independent Publishing Awards) in the Languages/Cultural category as seen here. Good Night Captain Mama / Buenas Noches Capitán Mamá received an award in the “Best Educational Children’s Book – Bilingual” category at the 2014 International Latino Books Awards held at the 2014 American Library Association convention in Las Vegas. It was included in the "Remarkable Latino Children's Literature o f 2013" list as published by Latinas for Latino Literature. Speaking Latino also included our book in their list of "The Best 15 Latino Children’s Books from 2013"